Help patients manage this painful condition with lifestyle changes and pharmacologic treatments. In many cases, medication is an important part of managing GERD and generally is effective. Antacids may be used to control or eliminate occasional heartburn but aren't adequate to manage GERD. There are few side effects of the medications used to treat GERD, but they may occur. It's recommended that patients incorporate both lifestyle modification and weight loss with medication management for the most effective relief. The ACG guidelines recommend patients take an eight-week course of proton pump inhibitors (PPIs) once per day before the first meal of the day to get symptoms under control and facilitate healing of the esophagus.2,8 PPIs work on the gastric glands of the stomach, causing them to release less stomach acid.8 Some common brands of PPIs include Prilosec, Nexium, and Prevacid. PPIs generally are well tolerated by most patients, but there are some potential side effects that should be discussed with physicians if experienced, including headache, nausea, diarrhea, constipation, and itching.8 The FDA has released multiple warnings about the long-term use of PPIs, with side effects including an elevated risk of fractures, low magnesium levels, and increased risk of Clostridium difficile-associated diarrhea.9 Nonpharmacologic strategies should be used to manage GERD to reduce the duration of PPI treatment if possible. The use of PPIs during pregnancy is considered safe.7 Different brands of PPIs work differently, so if one brand doesn't work for a patient, another brand may. Advancing to twice-a-day dosing can help as well, particularly for nighttime symptoms. Before the current types of PPI drugs were available, treatment for GERD included the use of H2-receptor antagonist drugs (also known as H2 blockers). They may be used if the patient doesn't have damage to the esophagus, but PPIs have been proven more effective.2 As with PPIs, these medications work by reducing secretion of stomach acid by the gastric glands.10 Commonly available over-the-counter brands of H2 blockers include Pepcid AC, Tagamet, and Zantac. H2 blockers are taken as PPIs are: one dose taken before the first meal of the day and possibly a second dose before the evening meal to prevent nighttime acid reflux. Side effects are rare and vary by brand but may include headache, dizziness, rash, and gynecomastia (enlarged breasts in men). The most important change many people with GERD can make is to lose weight. Decreasing the pressure on the stomach caused by excess abdominal fat can have significant benefits for individuals with refractory GERD. In fact, weight loss is the strongest recommended treatment from the ACG's guidelines for any patient with a BMI >25.2 For patients who qualify, Roux-en-Y gastric bypass surgery (but not gastric banding) has been shown to effectively reduce GERD.2 Whatever the method, a questionnaire of participants in the Nurses' Health Study showed that weight loss resulting in a reduction of 3.5 kg/m2 in BMI also reduced symptoms of GERD.11 Dietitians can provide effective support and guidance to assist patients in achieving sustainable weight loss, including reducing abdominal adiposity, which can reduce or eliminate GERD. Another effective and simple way to reduce GERD symptoms is to direct patients to stay upright for two to three hours after eating.2 This includes avoiding late night meals, after which a patient may quickly recline into a resting or sleeping position, leading to more nighttime symptoms. Elevating the head of the bed using a foam wedge or blocks also can be an effective way to help reduce nighttime GERD symptoms.2 Recommending reduced portions or small frequent meals instead of three large meals can provide similar benefits. Maria-Paula Carrillo, MS, RDN, LD, owner of LifeCycle Nutrition in Allen, Texas, advises her clients to slow down during meals and to chew foods thoroughly. She also suggests taking a walk after meals and avoiding tight-fitting clothes to reduce symptoms. Even though the ACG guidelines don't recommend blanket avoidance of commonly identified dietary offenders, the National Institutes of Health National Institute of Diabetes and Digestive and Kidney Diseases website does. It recommends avoiding chocolate, coffee, peppermint, greasy or spicy foods, tomatoes and tomato products, and alcohol, as well as reducing intake of high-fat foods and eating small frequent meals.12 Reducing or eliminating certain foods might help some clients, and most RDs recommend avoiding many of these foods. If clients choose to eat these foods, RDs should monitor how they impact symptoms. Carrillo recommends having clients keep food symptom journals to identify the specific offending foods, being particularly aware of foods discouraged by the National Institutes of Health guidelines, along with garlic and onions. "Each client is unique with which foods are tolerated, but timing of meals and quantity of aggravating foods can be equally important," Krieger says. "That's where I guide the client on how to keep those foods in their diets. For example, if marinara sauce is a favorite, encouraging the client to eat it at midday instead of at dinner can help." Dietary modifications should be tailored to clients' specific needs and address problem foods for the individual, but blanket elimination of these common foods should be avoided. There's limited evidence to recommend the use of the dietary supplement melatonin to manage GERD. A 2010 review of animal and human studies showed benefit in using melatonin alone or with PPIs to treat GERD and prevent esophageal damage.13 Slippery elm is an herb that's often recommended, but it isn't supported by research. Probiotic supplementation may help decrease constipation and other conditions that may contribute to GERD symptoms. Some supplements may contribute to stomach upset and make GERD worse. According to ConsumerLab.com, vitamin B6, cocoa, and arginine can worsen symptoms, as can St. John's Wort, when taken with PPIs.14 Dietitians also should advise clients on how to take their routine multivitamins or individual supplements in ways that decrease stomach upset (eg, with food). RDs play an important role in helping clients manage this common digestive disorder and should seek to be part of the health care team's approach. It's important to help patients understand the short- and long-term benefits of lifestyle and dietary changes instead of focusing on medication. "I use motivational interviewing and have the client explain the big goal (improving acute symptoms, preventing esophageal cancer, or losing weight). From there, I assist with smaller goals and changes," Krieger says. Likewise, Pat Baird, MA, RDN, FAND, author of Be Good to Your Gut: Recipes and Tips for People With Digestive Problems and a speaker and consultant from Greenwich, Connecticut, recommends helping clients focus on the payoff of behavior modification. "Lifestyle changes may prevent complications associated with GERD—and lead to better overall quality of life." As with many other conditions, the role of the RD is to help tailor lifestyle and dietary recommendations to meet the needs of the individual. — Sherry Coleman Collins, MS, RDN, LD, is president of Southern Fried Nutrition Services in Atlanta, specializing in food allergies and sensitivities, digestive disorders, and nutrition communications. Find her on Instagram, Facebook, and Twitter as @DietitianSherry and at www.southernfriednutrition.com. 1. Digestive diseases statistics for the United States. National Institute of Diabetes and Digestive and Kidney Diseases website. https://www.niddk.nih.gov/health-information/health-statistics/digestive-diseases#specific. Updated November 2014. Accessed November 1, 2017. 2. Katz PO, Gerson LB, Vela MF. Guidelines for the diagnosis and management of gastroesophageal reflux disease. Am J Gastroenterol. 2013;108(3):308-328. 3. On ZX, Grant J, Shi Z, et al. The association between gastroesophageal reflux disease with sleep quality, depression, and anxiety in a cohort study of Australian men. J Gastroenterol Hep. 2017;32(6):1170-1177. 4. Understanding Barrett's esophagus. American Society for Gastrointestinal Endoscopy website. https://www.asge.org/home/for-patients/patient-information/understanding-barrett-39-s-esophagus. Updated January 2010. Accessed November 4, 2017. 5. Barrett's esophagus. National Institute of Diabetes and Digestive and Kidney Diseases website. https://www.niddk.nih.gov/health-information/digestive-diseases/barretts-esophagus. Accessed November 1, 2017. 6. Gastroesophageal reflux disease (GERD). Mayo Clinic website. https://www.mayoclinic.org/symptoms-causes/syc-20361940. Accessed November 1, 2017. 7. Gerson LB. Treatment of gastroesophageal reflux disease during pregnancy. Gastroenterol Hepatol (N Y). 2012;8(11):763-764. 8. Proton pump inhibitors. MedlinePlus website. https://medlineplus.gov/ency/patientinstructions/000381.htm. Updated November 6, 2017. Accessed November 1, 2017. 9. Proton pump inhibitors information. FDA website. https://www.fda.gov/Drugs/DrugSafety/InformationbyDrugClass/ucm213259.htm. Updated April 12, 2016. Accessed November 12, 2017. 10. H2 blockers. MedlinePlus website. https://medlineplus.gov/ency/patientinstructions/000382.htm. Updated November 6, 2017. Accessed November 1, 2017. 11. Jacobson BC, Somers SC, Fuchs CS, Kelly CP, Camargo CA Jr. Body-mass index and symptoms of gastroesophageal reflux in women. N Engl J Med. 2006;354(22):2340-2348. 12. Eating, diet, & nutrition for GER & GERD. National Institute of Diabetes and Digestive and Kidney Diseases website. 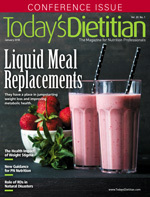 https://www.niddk.nih.gov/health-information/digestive-diseases/acid-reflux-ger-gerd-adults/eating-diet-nutrition. Updated November 2014. Accessed November 12, 2017. 13. de Oliveira Torres JD, de Souza Periera R. Which is the best choice for gastroesophageal disorders: melatonin or proton pump inhibitors? World J Gastrointest Pharmacol Ther. 2010;1(5):102-106. 14. ConsumerLab.com answers. ConsumerLab.com website. https://www.consumerlab.com/answers/which-supplements-worsen-acid-reflux/heartburn_acid_reflux_GERD/. Updated August 2, 2017. Accessed November 1, 2017.